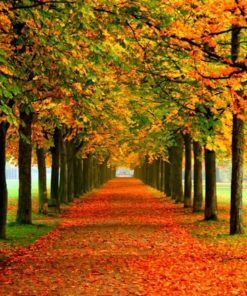 Choose a date, meeting point, number of people. Meet the tour staff and show your email voucher. In TripToday website, you can pay with all major international credit or debit card and Paypal. 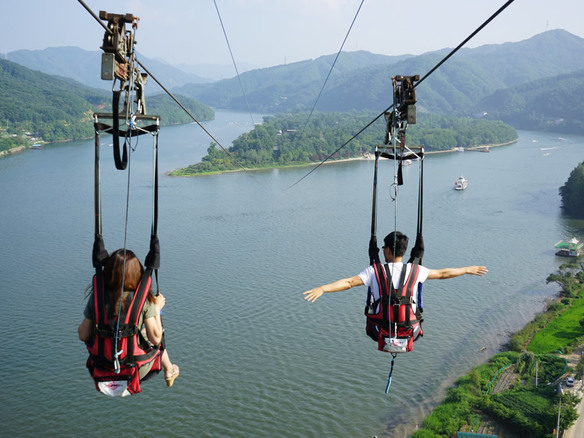 Nami island Zipline – If you would like to ride the zipline to Nami island, please pay the tour staff directly KRW 30,000 won in cash before arriving at Nami island. If you would like to ride the zipline to Nami island, please pay the tour staff directly KRW 30,000 won in cash before arriving at Nami island. Children under 3 years old are not allowed to ride the bike for safety reasons. 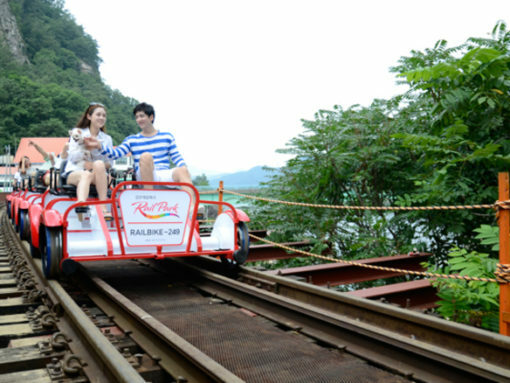 Railbike is for 4 pax so if your group is less than 4, you’ll be randomly riding the bike with other people. 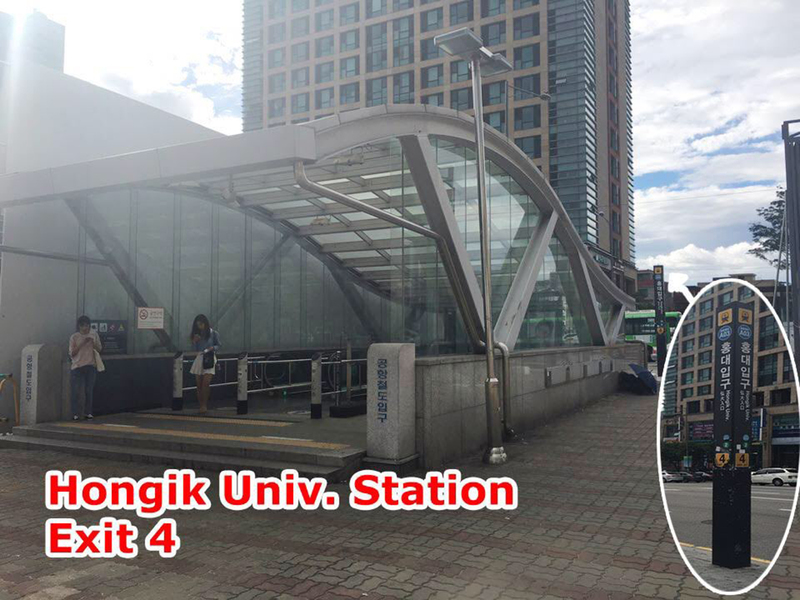 Infant (0-35months) is free of charge only when they do not occupy their own seat on the shuttle bus. Please inform us after booking if you have infants. You should bring infant’s passport for free entrance ticket. 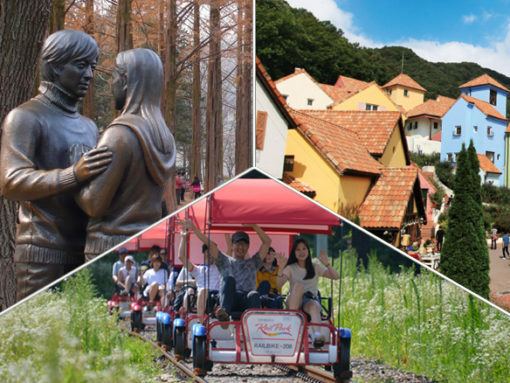 Visit both of best tourist destination Nami Island and Petite France in a day without a hassle! Namisum is a tiny half-moon shaped island located in Chuncheon, South Korea. 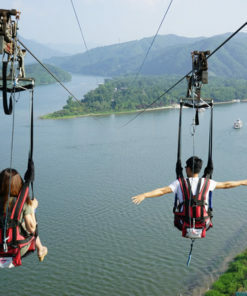 Nami Island is an oasis for culture and leisure in peaceful harmony with humanity and nature. After a five-minute ferry ride, guests meet a forest of verdant trees holding up the sky and open grassy areas where ostriches, rabbits, squirrels, chipmunks, ducks, and peacocks warmly welcome visitors in the midst of wildflowers. In 2006, Nami Island declared its cultural independence and was reborn as the Naminara Republic. It has its own national flag, anthem, currency, passport and phone cards, stamps, orthography and even a certification of citizenship. 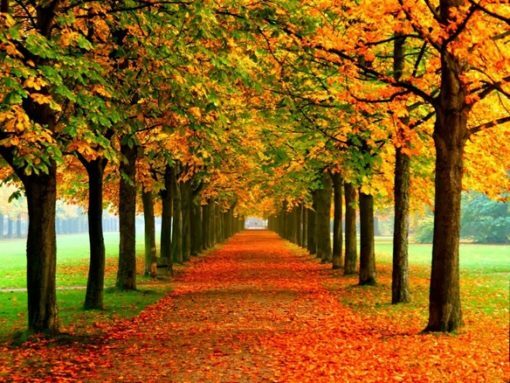 The island, especially the Metasequoia path, was one of the main filming locations of the Korean Broadcasting System 2002 television drama series Winter Sonata. 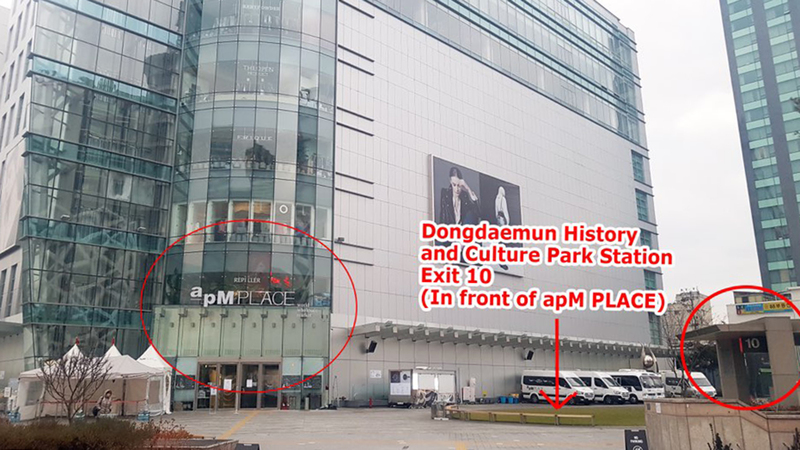 After it was featured in the drama, it attracted 650,000 visitors in 2002. Since then the number of visitors has continued to grow, reaching 2.3 million in 2012 and 3 million in 2014. Petite France is very close to Nami Island and easily distinguished by the cluster of beautiful and bright colored buildings. 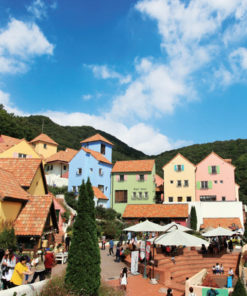 A French cultural village set in the heart of Korea, Petite France consists of 16 French style buildings and is a great opportunity to experience Europe in Asia! 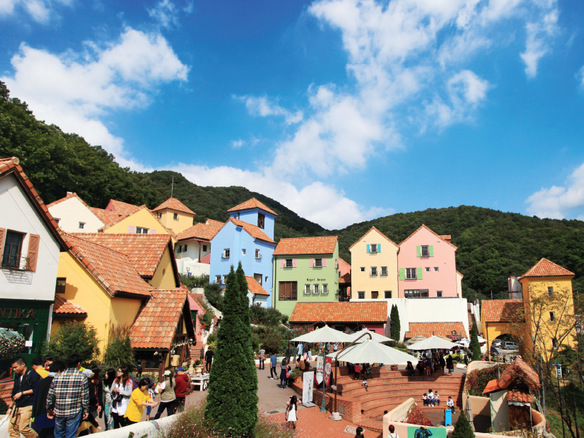 Famous Korean dramas such as Beethoven Virus, Secret Garden and the Man from the Stars were all filmed in Petite France! 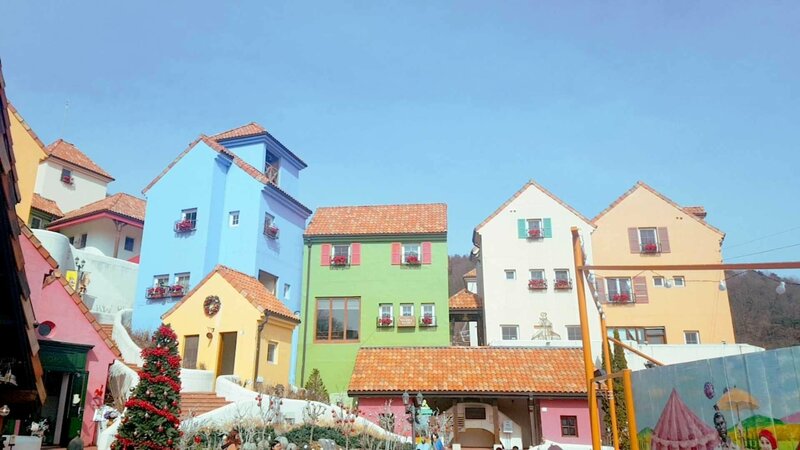 There are many beautiful sites to take photos, restaurants, and stores- you can learn more about the author of “The Little Prince” and enjoy sweet collections of dolls with over a 100 years of history, antique melody boxes, and even an antique museum! 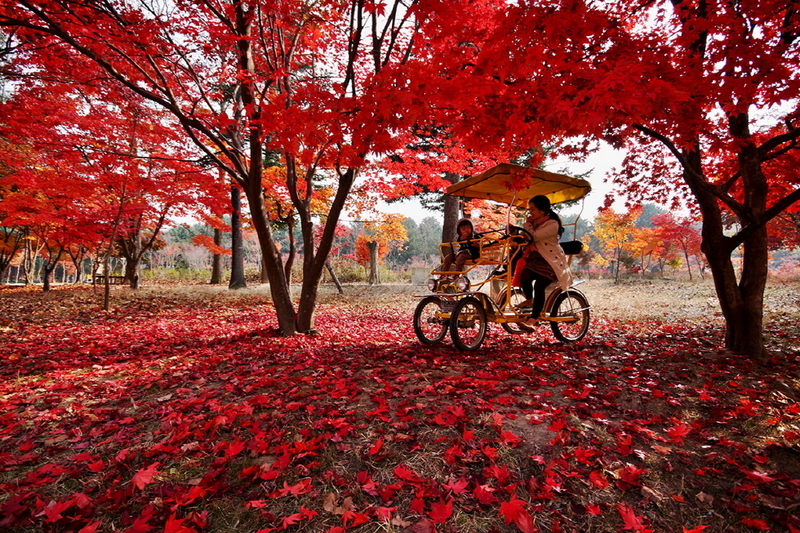 Enjoy a rail bike in nature at the outskirt of Seoul. 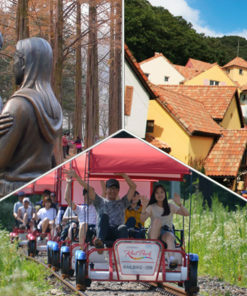 Railbike is a very popular tourist attraction where people can pedal along the old railroad tracks, and get spectacular views of South Korea’s scenery! 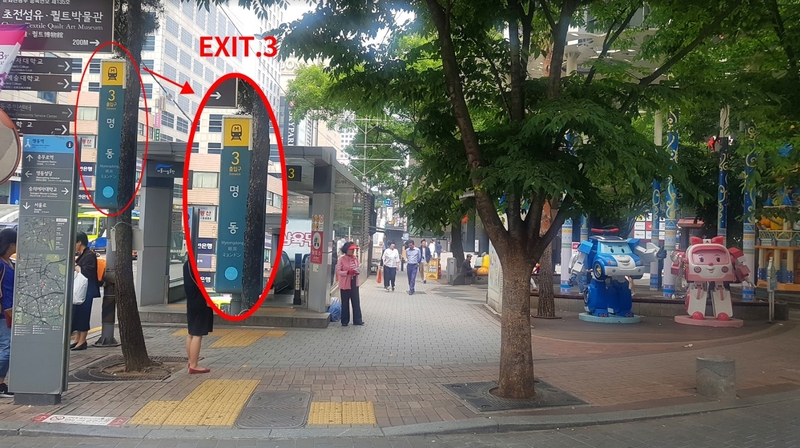 Save the hassle of taking public transport to the sights. Good experience for the rail bike! Must try!